We build for the customer! Our promise is to build quality homes and exceed our customers’ expectations by closely managing each project, communicating each step of construction and illustrating how we build through out the construction. We call this “Touch Points”. Our customers enjoy the experience while we focus on the quality and details. 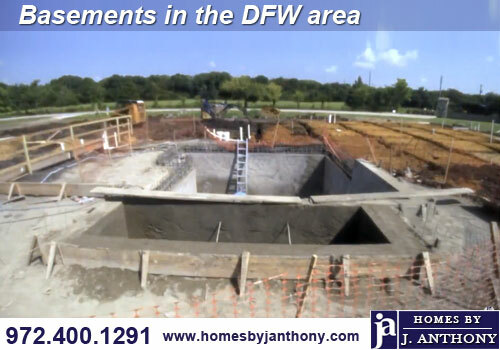 With this innovative approach to foundation basement construction, we are revolutionizing the standard methods of new home construction in DFW. Design all components of the new home to work together. 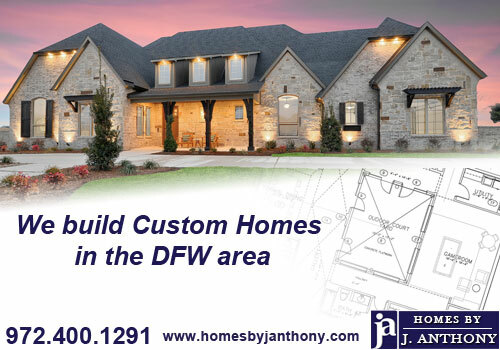 Homes By J. Anthony is one of the top builders in Collin County with the large inventory of new home sites ready to build on. 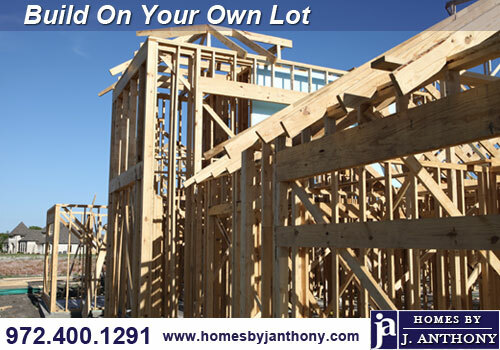 Our Premier lots are prepared and engineered for immediate construction. This will capture the best design impact for the home and save the customer money. 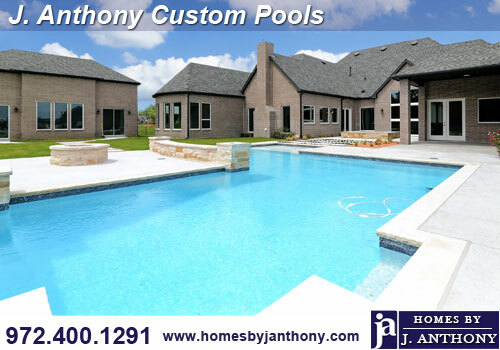 We build our pools in conjunction with the new home. 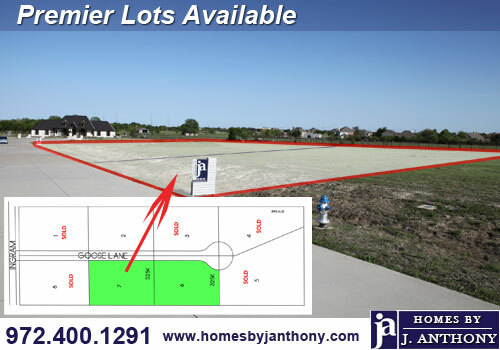 This eliminates the need for additional financing, and does not impact the overall construction time.